CARFAX Canada One Owner Obsidian Black 2014 Mercedes-Benz M-Class ML 350 4MATIC® 4MATIC® 7G-TRONIC PLUS 7-Speed Automatic 3.5L V6 SMPI DOHC155 point inspected, Certified pre-owned, 4MATIC®, Black Leather, 20" AMG® 5-Spoke Wheels, 360 Camera, Active Bi-Xenon Headlamps, Adaptive Damping System, Adaptive Highbeam Assist (AHA), AIRMATIC® Air Suspension, Aluminum Running Boards, ARTICO Leather Dashboard, Bi-Xenon Headlamp Package, Driving Assistance Package, Driving Assistance Package (22P), EASY-PACK Power Tailgate, harman/kardon® Logic 7® Surround Sound System, Heated Rear Seats, KEYLESS GO®, Leather Package, Leather Upholstery, Media Interface, Navigation System, Panoramic Sunroof, Parking Package, PARKTRONIC w/Active Parking Assist, Passive Blind Spot Assist, Passive Lane Keeping Assist, Premium Package, Radio: COMAND Online Navigation w/MB Apps, Sport Package, Trailer Hitch.All of our vehicles are meticulously reconditioned, professionally detailed and priced to sell! 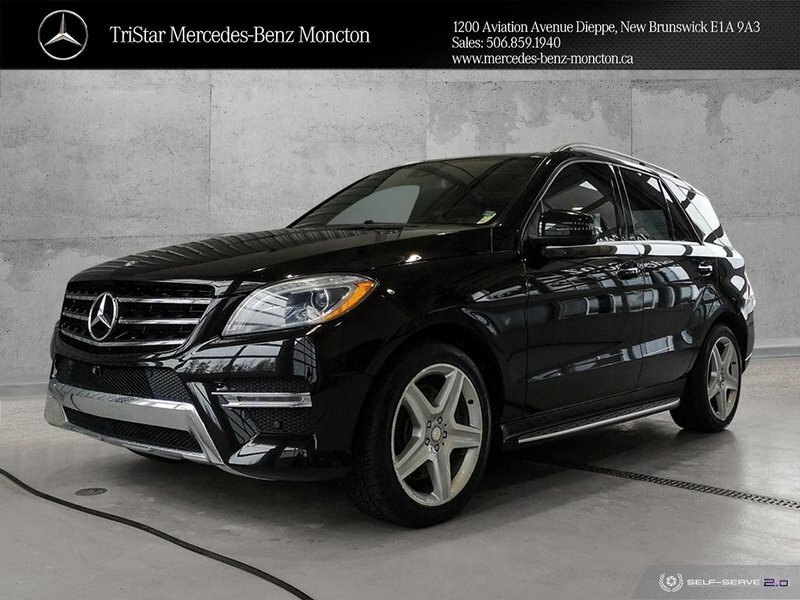 Please call TriStar Mercedes-Benz, Moncton: 506/859-1940. Or, visit our website: www.mercedes-benz-moncton.ca for more details.